You know that there are consequences for violating Florida traffic laws, but you may not be familiar with the different types of infractions and how the penalties may vary. In general, there are two types of traffic citations: Civil and criminal. 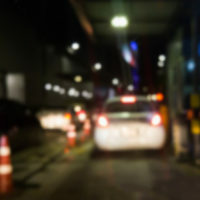 Though you could be charged with a felony or misdemeanor for criminal traffic violations, even the less serious civil citation can affect your driving privileges and personal freedoms. If you receive either one of these types of tickets, it is smart to consider retaining a Florida traffic violations attorney to assist with the process. You may also find it useful to review an overview of civil versus criminal traffic citations. Police officers issue traffic tickets if they observe a motorist engaging in a violation of Florida’s rules of the road, such as an improper lane change, failure to use a turn signal, running a red light, and similar conduct. Note that even pedestrians and bicyclists can receive a civil traffic citation if they do not comply with the traffic laws that apply to them. For instance, a pedestrian may receive a civil traffic ticket for jaywalking and a bicycle rider can be cited for failing to stop at a traffic signal. When you receive a civil traffic citation, you do have an opportunity to contest the charges by appearing in court and can retain an attorney to represent you. If the judge finds that you disobeyed traffic laws, the penalties include payment of a fine and court costs. However, you may also receive points against your driving record, which could impact your insurance rates and eventually lead to a driver’s license suspension. There are legal options to avoid the assessment of points, such as by enrolling in and completing a court-approved traffic school program. Depending on whether the offense is a misdemeanor or felony, and whether you have a prior history of traffic citations, you may face incarceration if convicted. Your sentence may also include driver’s license suspension, revocation, payment of a fine, probation, vehicle impoundment, and other penalties. Like other criminal offenses, you are entitled to have an attorney to represent you in court. Both civil and criminal traffic tickets can have serious implications, so it is important to exercise your right to a lawyer if you have been cited. Criminal defense attorney Kevin J. Kulik has advocated on behalf of many individuals ticketed for various traffic violations, and he can help you obtain the best possible outcome. Please contact our Fort Lauderdale office with questions or to set up a consultation.